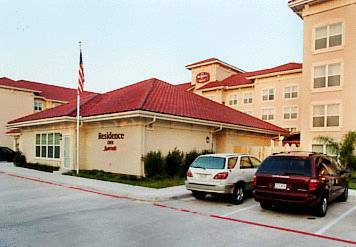 Make yourself at home at the Residence Inn by Marriott Houston West University. The hotel allows quick access to the world renowned Texas Medical Center, home to MD Anderson Cancer Center, where we offer complimentary shuttle service daily. The hotel is centrally located in the Greenway Plaza - West University area, minutes away from Lakewood Church, NRG Park, Galleria, world class Museum district, Downtown Houston, Rice University and a variety of upscale restaurants and nightlife. Residence Inn by Marriott West University offers complimentary transportation within a 3 mile radius of hotel. On-site amenities include complimentary hot breakfast daily, Social Hour, outdoor pool/whirlpool, exercise room, library with books, Sportscourt and complimentary high speed internet access in all suites. You can count on Residence Inn by Marriott West University to exceed your expectations.